Everyone gets chapped lips at some point. Dry lips can become painful, so it’s important to use a product that can restore the moisture to your lips. If you have sensitive skin, some products that are meant to heal your lips can make them more irritated instead. The best lip balm, in this case, is one with a mild formula. People with sensitive skin are more likely to have an adverse reaction to certain products, so it’s a good idea to keep note of what irritates your skin. There are a variety of lip balms that are formulated with sensitive skin in mind, so using one of these may lower the risk of irritating your already-dry lips. 1. What Does a Lip Balm Do? A lip balm is designed to heal and repair damaged and chapped lips as well as protect them from further damage. There is a wide variety of lip balms with many different added benefits. Many lip balms include ingredients such as vitamins and plant oils or butters to help nourish the skin. Some lip balms have multipurpose formulas and can be used on other parts of the body as well. 2. Why Do You Need a Lip Balm? Unlike other parts of the body, lips do not contain oil glands. Because of this, they lose moisture more quickly. The delicate skin of your lips is more likely to become dry and damaged if you are dehydrated or go out in extreme hot or cold weather. When your lips become too dry, it can result in painful cracked and chapped skin. In this case, using a lip balm can restore moisture to your lips. A high-quality balm can heal and repair your lips quickly. Using a lip balm regularly can help to protect your lips and prevent them from losing too much moisture. 3. What Should You Avoid When Looking for a Lip Balm? This is, of course, only a general rule. Because everyone’s skin is unique, each person experiences different levels of sensitivity. What may irritate one person’s sensitive skin may be okay for another’s and vice versa. If you have sensitive skin, you should always check the ingredients when using a new product and keep your own personal skin needs in mind. These lip balms were chosen based on suitability for use on sensitive skin as well as customer reviews. The lip balms in this list have formulas that should not irritate or damage skin. Like many skin care products, the price range for lip balms is quite large. While the pricier lip balms may have more added benefits, a budget-priced lip balm can still easily protect your lips from damage. The lip balms included here range from $1.69 to $26. Hurraw! Lip Balm comes in dozens of interesting flavors, like chai spice, licorice and black cherry. All of the lip balms in this line contain organic and vegan ingredients, so even those with sensitive skin may be able to enjoy these fun lip balms. However, if your sensitivities extend to natural fragrances as well, don’t fret. There is an unscented balm as well. The star of the unscented lip balm is meadowfoam seed oil, which is full of Vitamin E and very moisturizing. Since it is clear and unscented, you don’t have to limit this balm to just your lips. Because it is free from unnatural ingredients, dyes, fragrances and animal products, this may be the best lip balm for everyone. Purlisse combines traditional Asian ingredients with the latest developments to create highly effective skincare. Because the company wants everyone to benefit from its products, its formulas are designed with skin sensitivities in mind, making it a great brand for those with sensitive and easily irritated skin to use. The Daily Lip Nourisher with Mango & Shea Butter is suitable for people of all skin types. The formula is petroleum-free and vegan-friendly. This lip balm contains vitamins A, C and E to heal and hydrate lips. It also includes rice bran oil, which can protect lips from harmful UV rays. The light formula soaks into lips, so this may be the best lip balm to wear under makeup. John Masters Organics prides itself on its use of natural and organic ingredients for all of its beauty and skincare products. The original formula Lip Calm features a variety of natural oils, including jojoba, borage and olive oils that contain fatty acids and antioxidants to hydrate and nourish dry and chapped lips. This lip balm contains no synthetic fragrances or dyes, so it’s perfect for those with sensitivities to these products. 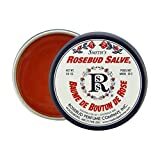 If you often experience dry lips after going out in cold, windy weather, this balm will help prevent that. As well as the original formula, you can also purchase this lip balm in raspberry, vanilla and peppermint flavors. While Drunk Elephant Lippe Balm is not entirely free from synthetic ingredients, it is free from many products that would irritate sensitive skin. You won’t find any parabens, essential oils or harsh dyes and fragrances here. What you will find is a myriad of ingredients chosen for their nourishing and soothing properties. Cranberry seed, mongongo, avocado and virgin marula oils nourish lips with vitamins, fatty acids and antioxidants, while sea fern algae and shea butter moisturize and hydrate. This balm will do wonders for your lips, and you can even use it around your eyes to minimize the appearance of wrinkles. Grown Alchemist is another brand that dedicates itself to using natural and organic ingredients in its skincare products, which makes it a good choice for those with sensitive skin. With jojoba oil, shea butter and watermelon extract, this lip balm is full of vitamins and antioxidants to leave your lips feeling smooth and hydrated. The natural ingredients in this lip balm keep your lips healthy while providing anti-aging benefits as well. With no harsh ingredients, this lip balm provides nourishment to lips without irritation and is mild enough for everyday use. 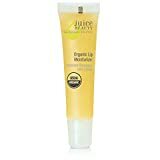 Juice Beauty’s Organic Lip Moisturizer is certified organic and cruelty-free. It is excellent for all skin types, including sensitive skin. With less than 10 ingredients, the formula is simple and free from anything that may irritate sensitive lips, such as parabens, dyes and fragrances. 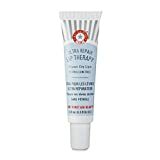 This lip balm is another one that you can apply to other areas of the body to soothe irritated skin. Cocoa and shea butter keep lips soft and smooth, while orange and vanilla oils provide a natural scent and flavor. The Bite Beauty Agave Lip Mask is a thick formula that delivers intense hydration, making it the best lip balm for severely damaged lips. The original lip mask contains no dyes or parabens, and the natural formula makes it an excellent fit for those with sensitive skin. Agave nectar softens lips while jojoba oil and lanolin heal and nourish. This is a great lip balm to use overnight to repair badly chapped lips. If your skin is not sensitive to dyes and you would prefer some added color, Bite Beauty offers the Agave Lip Mask in four tinted shades: maple (bronze), smashed (red), lavender (pale pink) and champagne (rose gold). This is another lip balm that is great for severely damaged or chapped lips. With a concentrated formula, this lip balm is designed to heal lips quickly. The key ingredients of this balm are honey, beeswax, propolis extract and colloidal oatmeal, which work together to soothe, hydrate, nourish and protect skin. 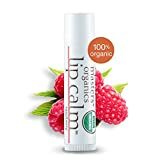 While this is not the best lip balm for someone who is looking for a vegan-friendly formula, the ingredients will work well for sensitive skin. If you are unbothered by animal products and a not-entirely-natural recipe, this is a good solution for sensitive, damaged lips. Blistex is a lip balm brand that you can find just about anywhere, but that’s no reason to count it out. For many people, Blistex is just as good a choice as a higher end brand. Blistex comes in many varieties, and this one is a great choice for those with sensitive skin. Blistex Simple and Sensitive is hypoallergenic and contains only five ingredients, none of which include dyes or fragrance. While the formula won’t irritate your sensitive lips, you should note that this lip balm does contain petrolatum, so if you are avoiding petroleum products, you will be better off with a different choice. This simple, multipurpose salve has been around for over a hundred years. It is the favorite of many celebrities and has a variety of uses. It contains only a few ingredients, including a “trade secret” blend of essential oils. While many people swear by this product, if you are sensitive to rose or essential oils, this may be one to avoid. Rose oil can have a calming effect on sensitive skin for some people, but it can have the opposite effect on others. This is also another balm that contains petroleum products, so keep that in mind if that is a deal-breaker for you. Though all of the lip balms on this list have formulas that are paraben-free and suitable for sensitive skin, it seems that the best lip balm for everyone is the Hurraw! Unscented Lip Balm. Its formula is free from dyes and fragrances so that it can benefit even those with the most sensitive skin. Hurraw! lip balms contain no animal products or petroleum, so they are safe for those avoiding these ingredients. It even has a budget-friendly price at only a few dollars a tube. When buying a lip balm, it is important to choose one that will keep your lips healthy. Consider your personal skin needs and be careful not to use anything that will further irritate your sensitive skin. Your lip balm should heal your lips, not hurt them.